A wood-fired brick oven, hand-mixed dough, and a pioneer spirit mark this historic bakeshop in Old Salem, little changed since 1800. 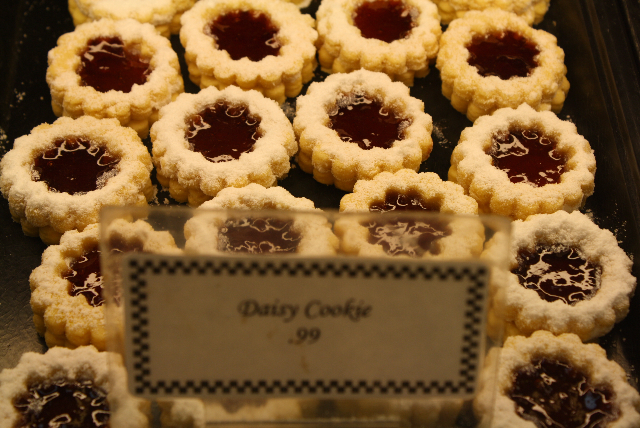 Winkler Bakery faces a quiet brick lane in preserved village of Old Salem. 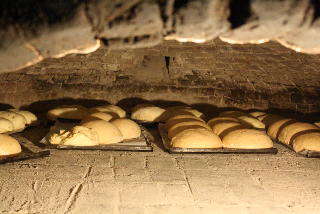 If you want to see how bread was made before modern machinery and taste the all-natural results, go to Winkler Bakery in Old Salem. You’ll find a wood-fired beehive-shaped brick oven and dough mixed in manger-like troughs by bakers gripping long wooden paddles. These period-costumed artisans are as much interpreters as bakers, patiently explaining each step in the process to curious visitors. 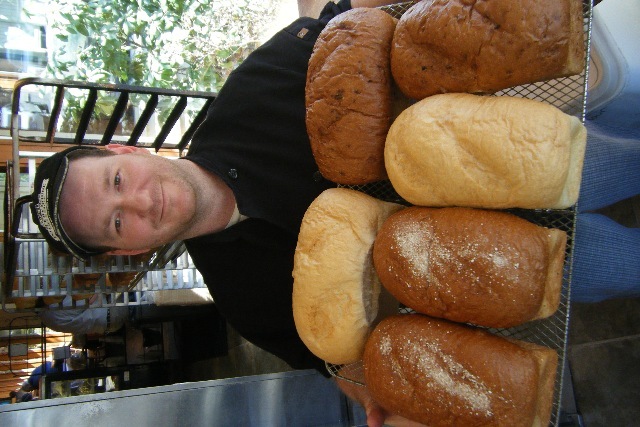 Baker Bobby James with honey-wheat loaves fresh from the wood-fired oven. Photos by Bakery Boy. Every step in the slow-paced process is done by hand. 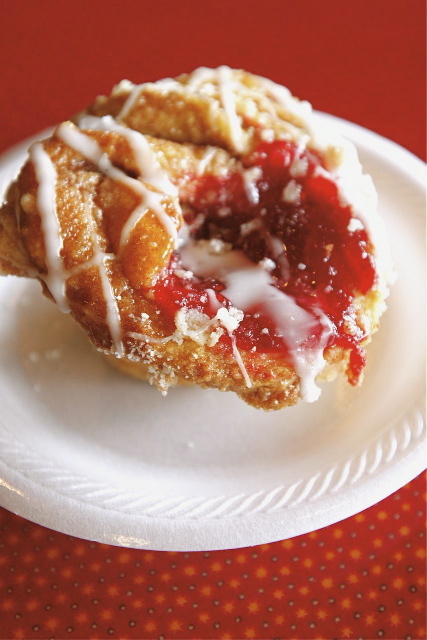 Established in 1800 by Moravian families from Eastern Europe who settled in what is now Winston-Salem, North Carolina, the bakery uses methods unchanged for centuries. Bakers stack split white oak firewood into little log-cabin-like ricks, shove them into a 9-feet-deep, 7-feet-wide, 10-feet-high oven with a flat floor and a domed ceiling, and light them early in the morning. 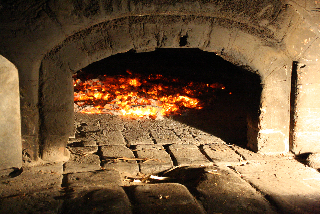 As fire heats the oven to 600 degrees, the bakers mix dough, weigh, knead, and shape loaves at a sturdy wooden table, and set them near the oven’s warmth to rise. Split white oak fuels this old-fashioned operation. They also make sugar cakes and cutout cookies, timing each batch to bake as the oven, swept clear of embers and ashes, slowly cools to just the right temperatures: 450 degrees for bread, lower for cakes, and lowest for cookies. 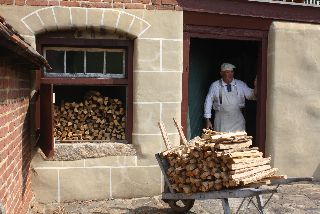 The workday isn’t complete until bakers haul more firewood from a nearby shed and arrange it for the next day’s production. Glowing embers heat the bricks. 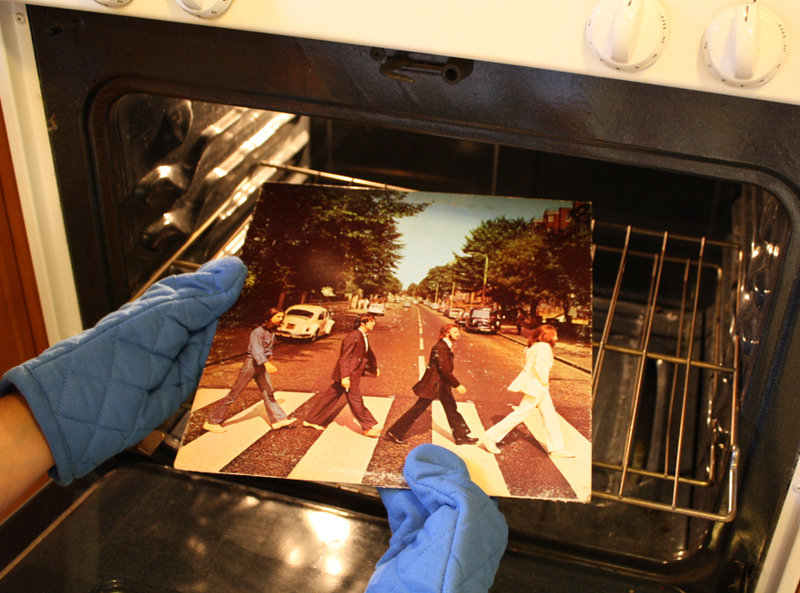 Baker Jeffrey Sherrill shoves bread into the radiant oven. ABOUT THE NAME The first bakers to work here weren’t named Winkler. 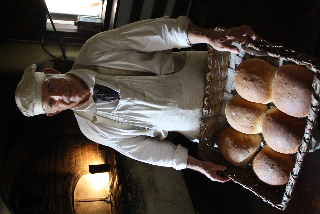 Christian Winkler arrived a few years later in 1807 and baked for 30 years. His descendants ran the bakery until 1926, plenty of time to make the name stick. 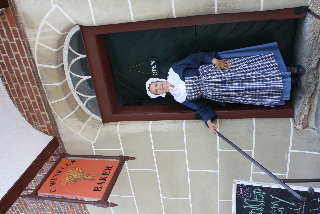 WHAT THEY MAKE Winkler Bakery makes three main products daily, all for sale in the next room from women wearing long cotton dresses and neat white aprons and bonnets or from men in suspender-held trousers reminiscent of the early 1800s. 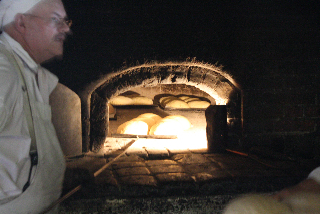 Peek into the cave-like chamber to see bread baking. As many as 90 loaves can fit inside at once. Bread: They start with the basics—water, flour, butter, eggs, sugar, and yeast—then for variety add honey, rosemary, garlic, and other ingredients to some batches. Moravian Sugar Cake: A dense, gooey coffeecake similar to what some call honey buns or monkey bread, it’s rich with brown sugar, butter, and cinnamon. Cookies: Thin cutouts, often laced with ginger, come in the shapes of flowers, stars, leaves, crescent moons, Thanksgiving turkeys, Christmas trees, and more. In the shop you’ll also find oatmeal raisin cookies, cinnamon raisin bars, banana nut bread, and other treats made at a newer facility nearby. There’s an entire line of construction-paper-thin cookies too, packed in tubes or tins, that feature ginger, lemon, cranberry-orange, apple, maple, chocolate, and other flavors. MAIL ORDER Can’t get to Winston-Salem soon? 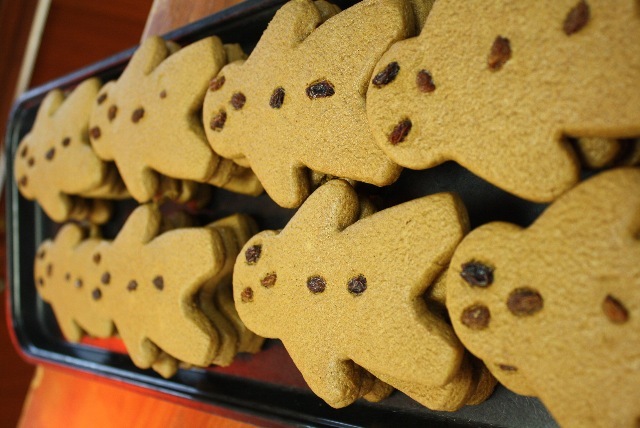 Some baked goods, especially a variety of thin spice cookies, as well as Old Salem beeswax candles and other items, are available by mail. Click here to see the mail-order menu. 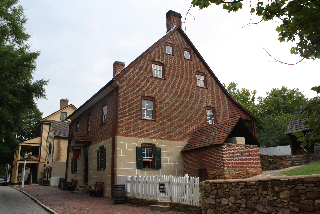 IN THE NEIGHBORHOOD Winkler Bakery sits at the heart of Old Salem Museums & Gardens, a lively historic village that recalls the community’s formative years in the late 1700s and early 1800s. It includes 100 acres of restored landscapes, heirloom gardens, 80 preserved buildings, a tavern, a gunsmith shop, and the Museum of Early Southern Decorative Arts. Old Salem staffers look the part. Photos by Bakery Boy. Also in the historic village stands Salem College, the all-female liberal arts institution founded in 1772 that pioneered equal education for women in this country. Just seeing so many young people (the student population is about 1,100) moving around Salem’s brick streets and grassy paths lends a surprising exuberance to a setting known for showcasing antiquated farming, baking, building, and blacksmithing skills. Their presence reflects the original Moravian settlers’ philosophy, which held schooling in high regard. INFO www.oldsalem.org, 336-721-7302 (Winkler Bakery), 336-721-7300 (Old Salem); for more about area attractions contact Winston-Salem Visitor Center and Visit North Carolina. Stone-ground grains for the baked goods served at two restaurants here come from an historic gristmill right next door. Talk about fresh ingredients! 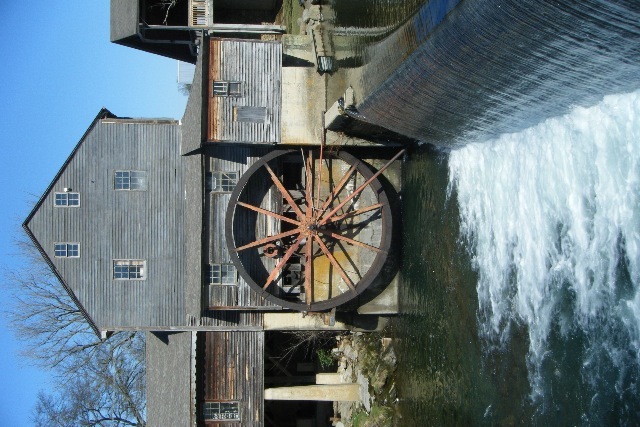 Much of the grains used in the bakery and kitchens for two restaurants at Old Mill Square in Pigeon Forge, Tennessee, come from an 1830 gristmill still in use a stone’s throw away. Not that anyone would throw one of the massive 2,000-pound granite millstones that reduce whole wheat and corn to flour, cornmeal, and grits—stones turned by a giant waterwheel rigged to harness the Little Pigeon River. The Little Pigeon River turns a giant waterwheel at The Old Mill, built in 1830 and still grinding corn and wheat today. At the Pottery House Café and the adjacent Old Mill Restaurant, a pair of country-style family places popular with visitors to the nearby Great Smoky Mountains, the biscuits, corn bread, pancakes, hush puppies, muffins, grits, and breads all include fresh-milled grains. The bakery also produces terrific pies (coconut cream, chocolate pecan, lemon meringue, peanut butter), rich layer cakes (carrot, chocolate), daily quiches (one with meat, one all vegetables), as well as brownies, cookies, and other goodies. Simple mechanisms that are amazing to watch reduce grains to flour and meal. TOUR THE MILL Whether you go before or after eating at one of the restaurants or just check it out while passing through, it’s worthwhile to tour The Old Mill & General Store. You’ll see antique equipment—an ingenious system of shafts, belts, millstones, pulleys, grain elevators, chutes, and sifters—still in working order. 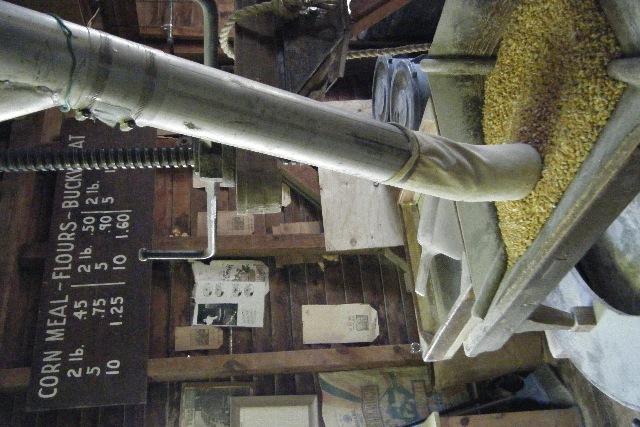 For 180 years millers have filled, weighed, and tied each sack by hand, stacking bags of yellow and white grits, cornmeal, a variety of flours, and pancake mix. These travel a few feet to the store, a few yards to sibling restaurants, or thousands of miles to anywhere by post. Tours start in the mill store; call 865-453-4628 for details. 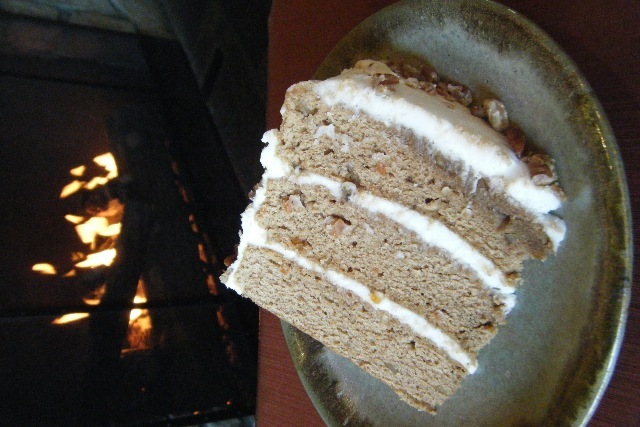 If you like the plate your carrot cake comes on, buy one next door at Pigeon River Pottery. LIKE ’EM? BUY ’EM! The beautifully turned, glazed, and fired plates, bowls, salt-and-pepper shakers, and other serving pieces at Old Mill Square’s restaurants—and even the bathroom sinks—are handcrafted at adjacent Old Mill Pigeon River Pottery. Buy some to take some home if you like. These represent just the tip of the iceberg (chilling Titanic reference intended). 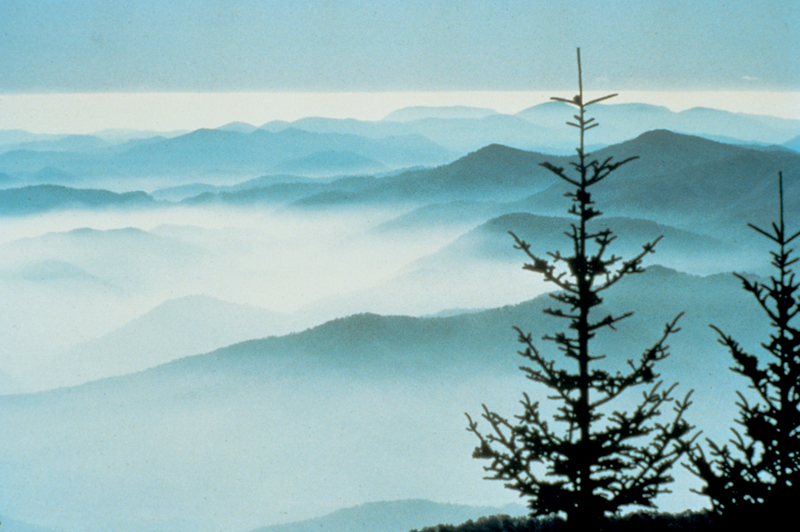 For a complete rundown of what’s available check with the Pigeon Forge Department of Tourism at www.mypigeonforge.com or 1-800-251-9100. 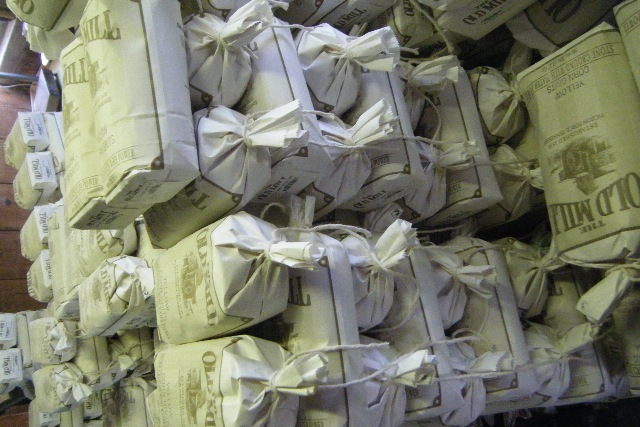 Tall stacks of freshly milled flour await buyers. 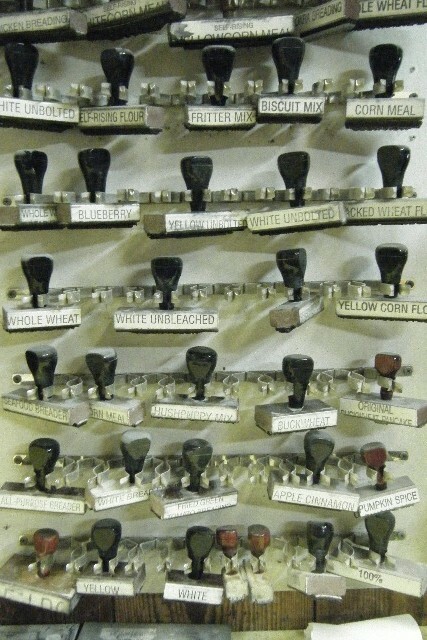 Vintage rubber stamps are used to mark flour sacks. 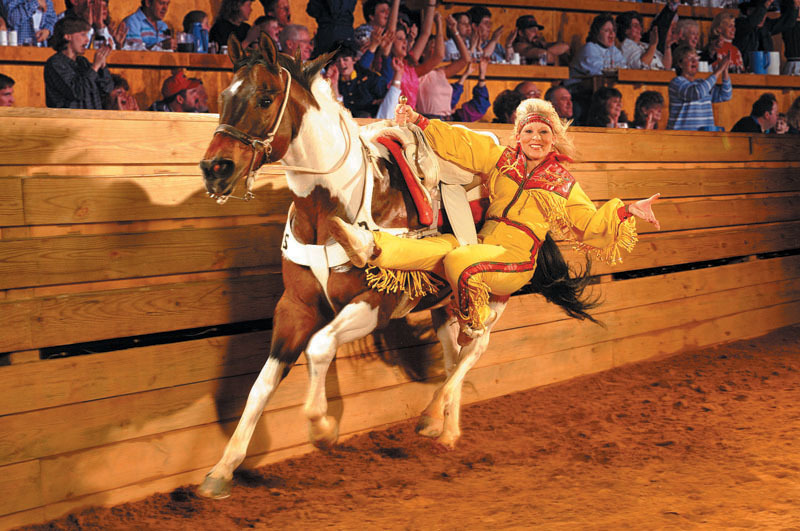 LOCATION Old Mill Square, 175 Old Mill Avenue, Pigeon Forge, TN 37868; 30 miles southeast of Knoxville. From U.S. 441, the main north-south route in town, turn east at Traffic Light #7 (they’re numbered for direction-giving convenience) and go three short blocks. 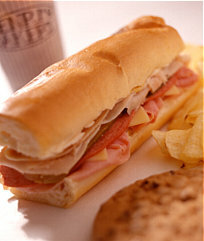 HOURS The Old Mill Restaurant is open 7:30 a.m.-9 p.m. daily; 865-429-3463. The Old Mill Pottery House Café & Grille serves lunch 11 a.m.-4 p.m. daily, dinner 4-8 p.m. Sun-Thu and 4-9 p.m. Fri-Sat; 865-453-6002. This is no because-he-was-bald joke. The man knew how to swing a deal. It took a Dumpster-diving bum to solve the mystery for me. 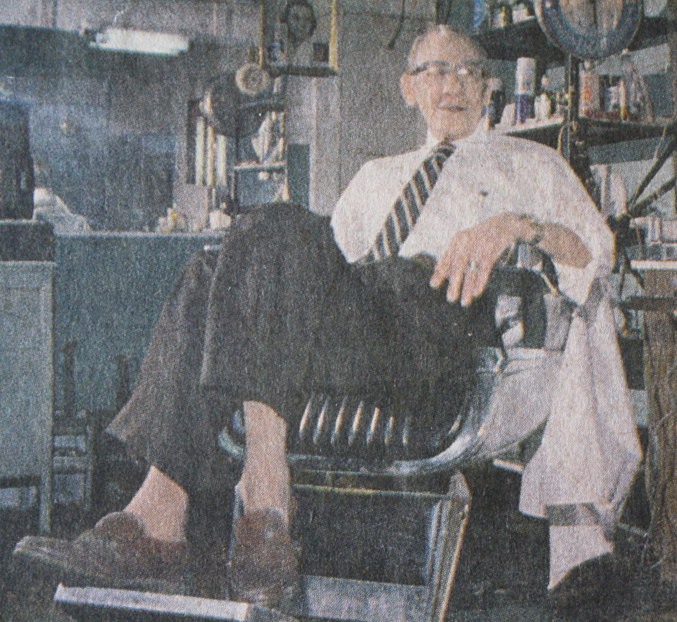 Next door to my family’s original bakery in Charleston, West Virginia, was a small barbershop run by a good-natured man called Doc Baker. Despite the name, he was neither a doctor nor a baker, just an old-fashioned no-frills hair cutter. As a small child I often tagged along to play in the rarely used second barber chair while my father got his hair cut, like clockwork, every other week. 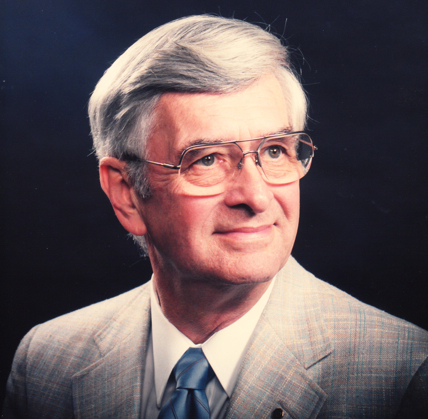 Other than the requisite buzz cut of his Army days during WWII, my dad kept a thick, handsome wave of dark hair (later a brilliant shade of shiny gray) until he died at age 79. Every time he got up from that chair, he’d glance in the mirror and tell the barber, “Pretty good job, Doc. If you ever get it right, I’ll pay you.” They’d both chuckle and we’d walk out. I always wondered why no money changed hands. It took a homeless man (less-charitably called bums or winos back then) to clear up the matter for me. From about the age of 10, one of my tasks as a Bakery Boy was to drag flour sacks, emptied of flour and filled with trash and with damaged or stale baked goods, out to the back alley and pitch them into a big Dumpster. I’d been doing this for years without incident, until one day I heard muffled complaints coming from inside the big bin. “Hey, watch out,” yelled a scraggly man who poked up from the hinged top door, his long hair a tangled greasy mess and his hands filthy claws. “What are you doing in there?” I asked naively. “What’s Monday got to do with it?” I said, confused. “No hair on the cakes and donuts, on account of the barbershop is closed on Sunday,” he growled, jerking a thumb toward the Doc’s back door. “Huh?” I said, but he disappeared from sight and continued his rummaging. Later that day, as I disposed of one last flour sack full of trash, old Doc the barber meandered out carrying a single paper grocery bag, tossed it up and over, and clapped his hands to brush off stray strands of hair. So that was it. They bartered haircuts for trash disposal. Worked out well for everyone but the hungry homeless people, I guess. Except on Mondays, when enterprising Dumpster-divers feasted on a sweet and hair-free buffet. Pronounce it the French way, on-REE, and then try a taste of just about anything and say Oo-la-la! 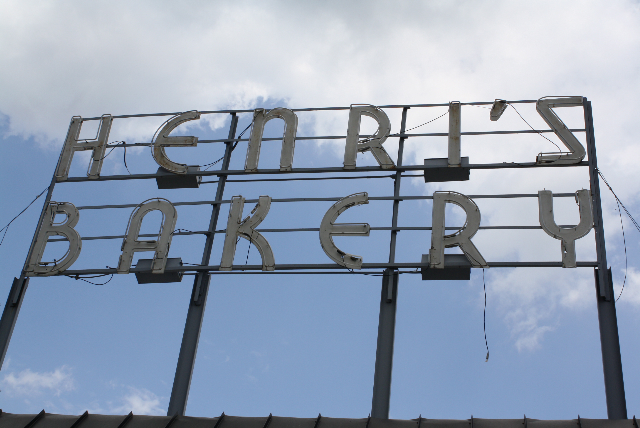 Henri’s iconic ’60s-vintage sign rises from Atlanta’s Buckhead Village. Photos by Bakery Boy. It’s a moot point when your mouth is too full of goodies to talk, which is often the case at Henri’s, a mainstay at the Buckhead Village shopping and dining district in Atlanta. Founded in 1929 by Henri Fiscus, who emigrated from France’s Alsace-Lorraine region, it is now run primarily by granddaughter Madeline Leonard and co-owned by five siblings including Madeline, her sisters Suzette, Michelle, and Mimi, and their brother Ray. At first she wasn’t sure what to do, so she kept her airline job. 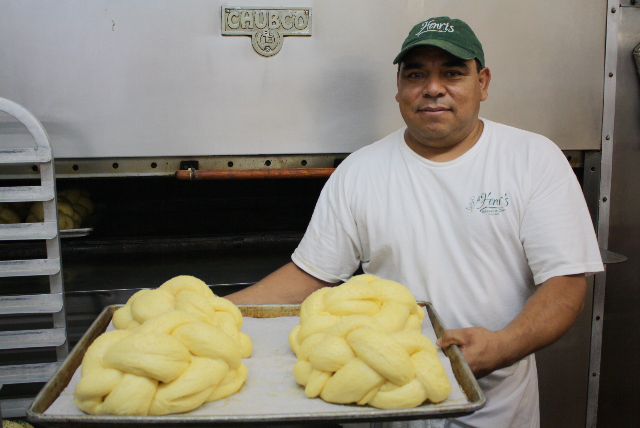 “I signed up to work all-night turnaround flights, and I’d go straight from the airport to the bakery at 5 a.m. and learn all I could about the whole operation. Henri had trained his staff so well they could run it without him, but that couldn’t go on forever. I realized if I didn’t keep Henri’s going, the bank would take possession and sell it. So I studied all the formulas [bakers prefer the word formulas to recipes] and the baking techniques and the business side. Two employees who worked for Henri and taught me a lot—brothers Donalson and Willie James—are still here. In the beginning I was afraid I’d mess things up, but as I gained confidence I learned to love it.” Soon she quit moonlighting as a flight attendant and devoted her full attention to Henri’s. KNOWN FOR It’d be easier to list what Henri’s is not known for, but here’s a short version of the good stuff. Dozens of kinds of cookies overflow showcases, including standouts such as thumbprint-style shortbread cookies, raisin-buttoned gingerbread men, coconut macaroons, large-scale chocolate chip and oatmeal cookies, and (my favorite) dainty little Daisy cookies with raspberry jam atop daisy-shaped cutouts. Traditional wedding cakes, all sizes of birthday cakes, and cakes varying from black forest to carrot, caramel, marble cheesecake, and strawberry shortcake lead a long litany. Breads range from French baguettes to braided challah, dark pumpernickel, whole wheat, German rye, butter-crust, cinnamon logs, sourdough, spinach-and-garlic bread, multiple colors of rectangular Pullman loaves, poppy-seeded knot rolls, and more. Pastries run the gamut from layered napoleons and colorful petit fours to tiramisu tarts, baklava, cream horns, chocolate pralines, crème cheese brownies, almond-filled croissants, apricot squares, and tuxedo-style chocolate-dipped strawberries. The pie case holds pecan, mincemeat, coconut crème, key lime, egg custard, chess pies (vanilla, lemon, German chocolate), fruit pies (apple, cherry, blueberry, peach), and more. EXPANDED ROLE Over time Henri’s has diversified to include a full-scale deli and sandwich shop famous for thickly stacked Po’ boys on French baguettes picnic-ready egg salad and tuna salad, party-ready fruit, veggie, meat, and cheese trays, and a variety of quiches and pot pies. There’s also an espresso bar and indoor and outdoor seating for the lunch-and-linger crowd. 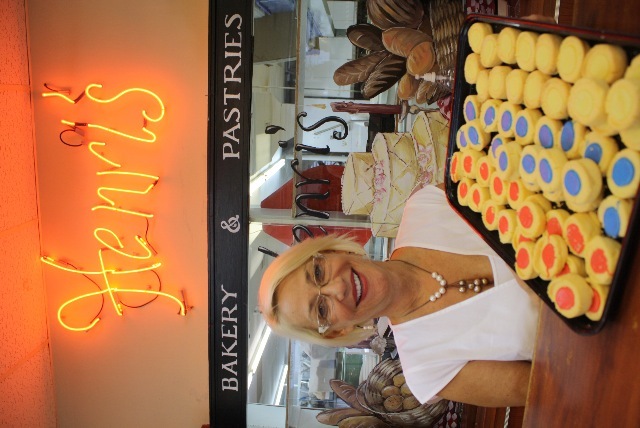 THEY DO IT ALL While the trend in bakeries leans toward more specialized niches (notice the cupcakes-only places springing up lately) Henri’s manages to excel in just about every aspect of baking. It’s a disappearing genre—and a marvel of carefully orchestrated production—that deserves our applause and support. WATCH THEM WORK Personally I like it when a bakery lets you see what’s going on in the back room. First, it’s quite a show when all the bakers are working at once, creating amazing goodies. Second, it’s bound to be a cleaner operation if employees know the customers are watching every move. 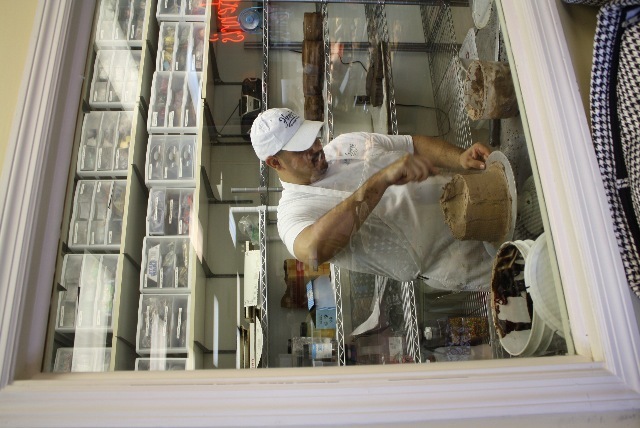 At Henri’s a broad picture window behind the display cases allows views of an array of ovens, mixers, workbenches, and busy bakers. 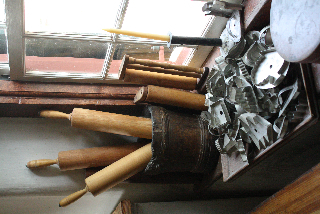 A separate window reveals the cake decorating area, where observant visitors might pick up pointers to improve their own cake-frosting skills. LOCATION 61 Irby Avenue NW, Atlanta, GA 30305 (north of downtown in the Buckhead Village area surrounding the intersection of Peachtree Road NE, West Paces Ferry Road NW, and Roswell Road NE). 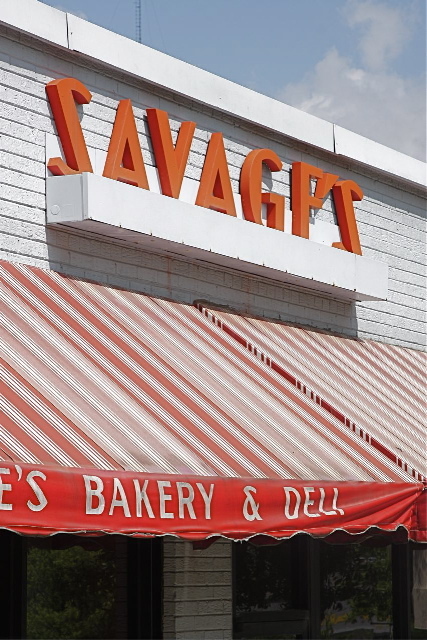 HOURS Mon-Sat 7 a.m.-6 p.m.
From cakes and cookies to sweet dreams known as “Meltaways,” Savage’s sets a high standard for Birmingham-area bakeries. Soon after I moved to Birmingham, Alabama, for a feature-writing job, someone brought a box of Savage’s Bakery “Meltaways” to a meeting at the office. One bite and I was hooked. I traced those glorious pastries to the central business district in suburban Homewood just a few miles away and became a regular customer. Meltaways are variations on the sweet roll theme, baked in a cupcake shape. Toppings include raspberry, apricot, lemon, cinnamon-raisin, almond, cream cheese and more, plus a drizzle of icing. Owner Van Scott explains that while many have tried to imitate this unique innovation, none have succeeded. “There’s a secret method involved, and I’m not about to give that out!” he says. 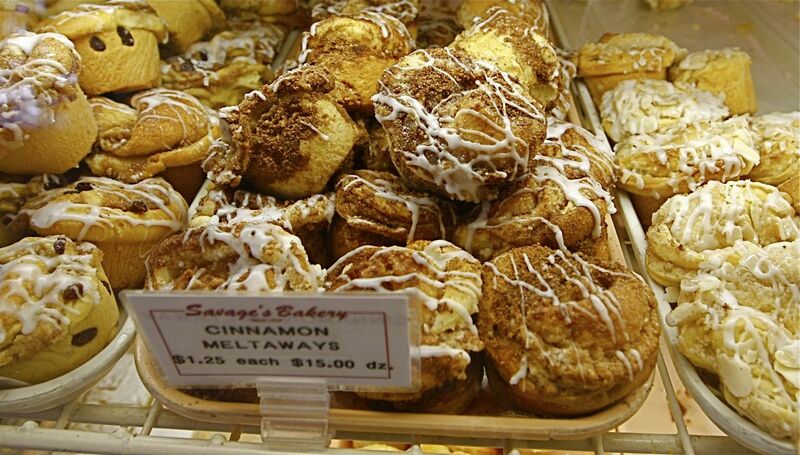 SIGNATURE ITEMS No single product rules this diversified bakeshop. It does a wide variety of things well—breads, cakes, cookies, petit fours, wedding cakes, and even deli sandwiches around lunchtime. 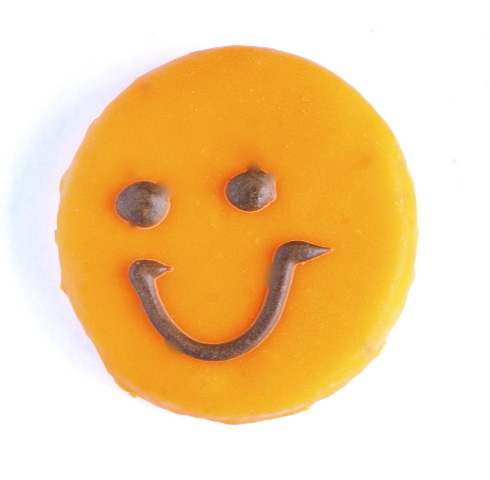 “We’re probably best known for our iced cutout cookies in all kinds of shapes,” Van says. 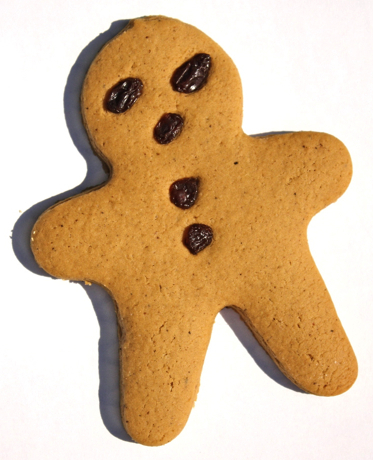 “Rainbows, gingerbread men, and orange smiley faces are always popular.” He’ll make custom cookies for people who bring in their own cutters. He even had a cutter designed in the shape of Vulcan, the spear-point-gripping Roman god of the forge, to honor the world’s largest cast-iron statue. That enormous figure, which can be seen from the bakery, towers above Vulcan Park on nearby Red Mountain, the iron-rich source of the local steel industry. 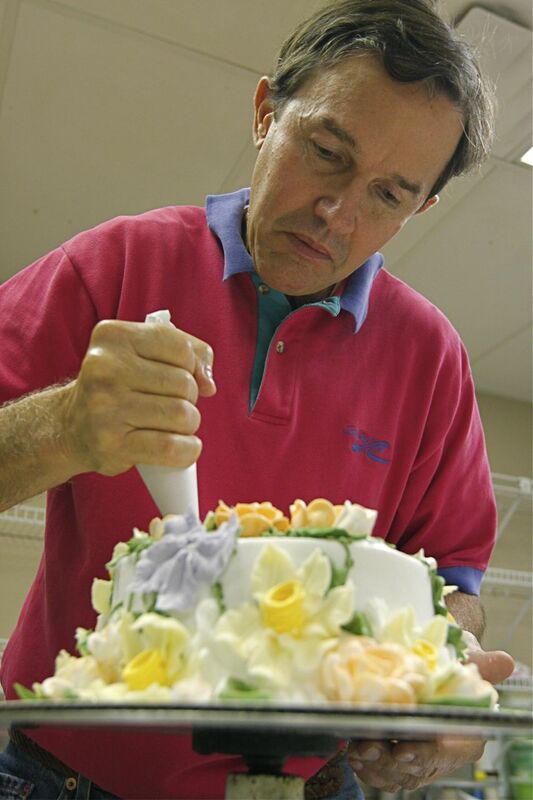 Savage's owner Van Scott decorates a cake with spring flowers of frosting. FROSTING FLOWERS Van can do any task that needs done in the bakery he has owned since 1978, but his favorite role is cake decorator. Cakes teeming with spring flowers made of frosting are his specialty. “I’ve always liked working with my hands and couldn’t see myself sitting behind a desk,” the former English major says. 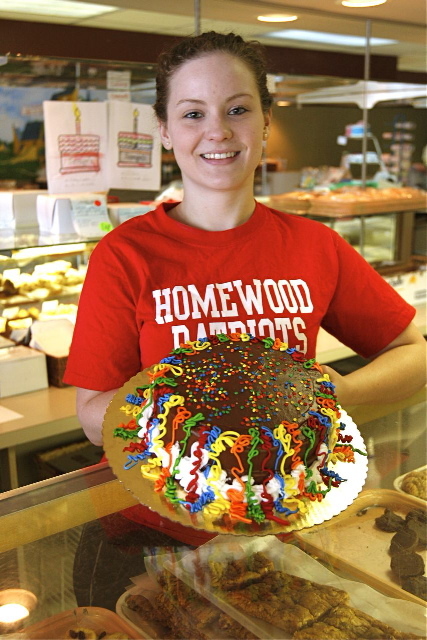 Many a Homewood teenager has worked at Savage's. HOURS Mon-Fri 8 a.m.-5 p.m., Sat 9 a.m.-5 p.m.
A bunch of aunts and one mom—scratch bakers all—influenced the gal who grew up to run this worthy find in western Virginia. 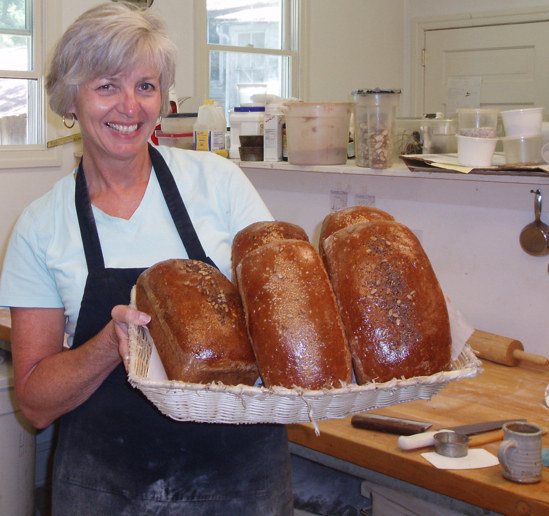 WildFlour Bakery owner Donna McIntyre with some Flax Seed & Sunflower loaves and Cracked Wheat & Sunflower loaves. 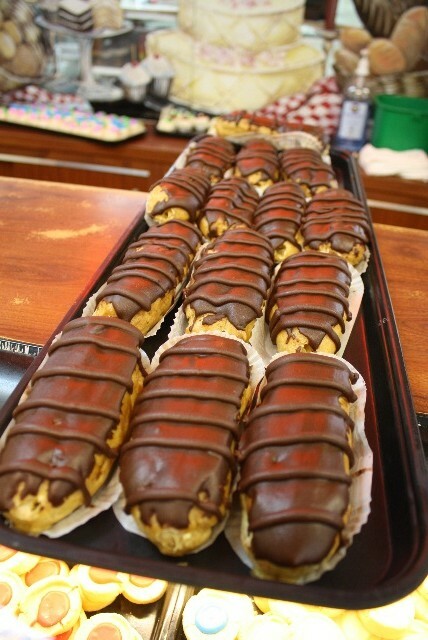 Photo courtesy of WildFlour Bakery. 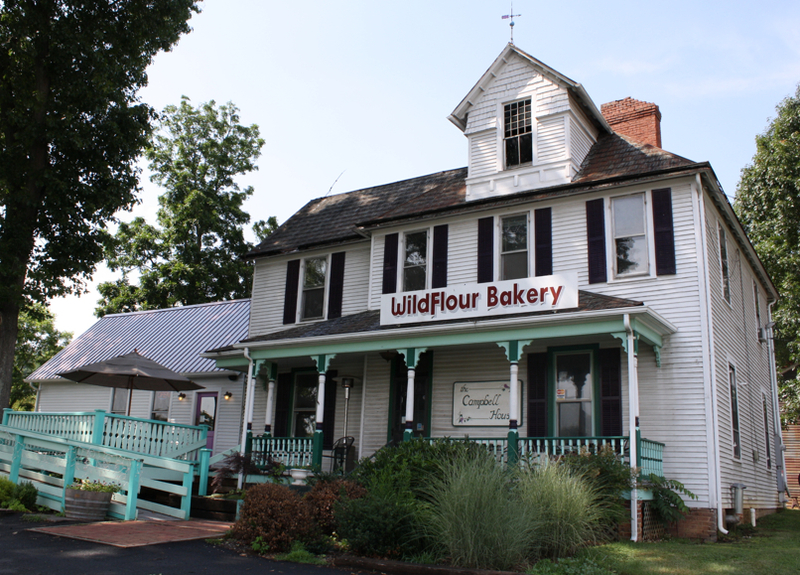 Dark, brown, wholesome loaves laced with flax seeds, sunflower seeds, cracked wheat, and other healthy ingredients dominate the bread shelves at WildFlour Bakery in the small town of Abingdon, Virginia. Depending on the season and which fresh fruits are available, the pie rack holds fresh blackberry, peach, blueberry, strawberry-rhubarb, or other selections, plus lemon meringue or pecan year-round. On any given day the sweet aroma of cinnamon buns, scones, bear-claws, chocolate or almond-paste-filled croissants, and big oatmeal cookies tempt all who walk into the showroom. WildFlour fills the 1896 Campbell House. Photo by Bakery Boy. Her current WildFlour Bakery opened in 1997 (she had another by the same name in the early 1980s in nearby Bristol, Tennessee). It’s located in the Campbell House, a picturesque 1896 Victorian-style farmhouse built by and named for her husband’s great-grandfather. The bakeshop fills one end of the house. Other rooms hold café tables used for serving lunch sandwiches and salads daily and dinner Wednesday-Saturday. Displays of pottery, paintings, metal sculpture, and other artwork throughout (all for sale) lend the place a gallery atmosphere. 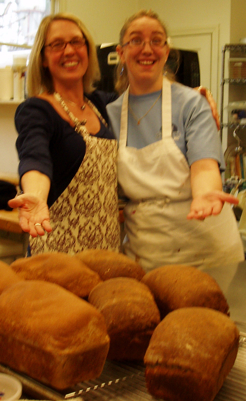 Jodi Peterson (left) and Gail Tignor bring infectiously positive attitudes to bread making. Photo courtesy of WildFlour Bakery. “WAR BREAD” The name comes from war times past, Donna explains. “During the big wars, key ingredients such as basic wheat flour were in short supply, so people substituted whatever other grains they could find,” she says. “We use a blend of cornmeal, oatmeal, and whole-wheat flour in our War Bread.” Also from the bread oven: Honey-Wheat, Rosemary-Parmesan, Sun-Dried Tomato, Sunflower Cracked Wheat, Rustic Country, Sesame Oat, Sourdough, Beer-Cheddar, Cuban White, and others. 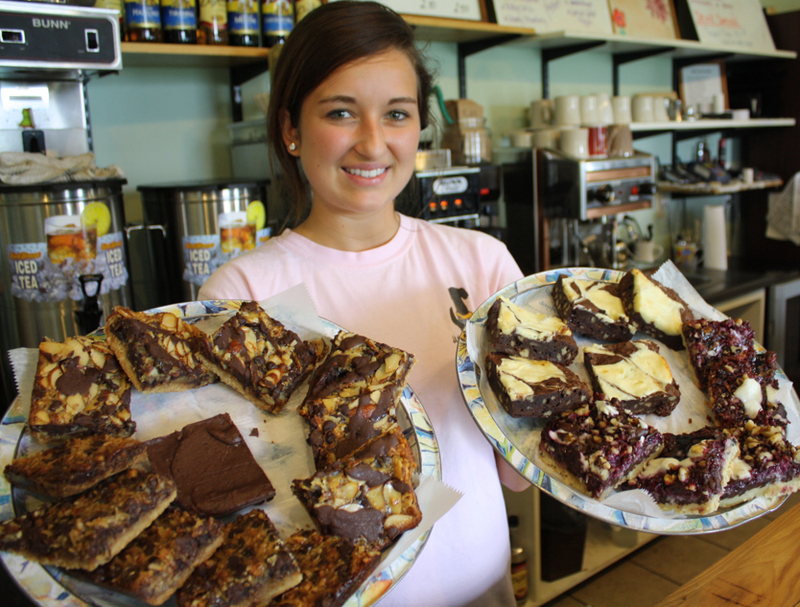 Mariah Bowman prepares a variety of WildFlour "bars" for display. Photo by Bakery Boy. 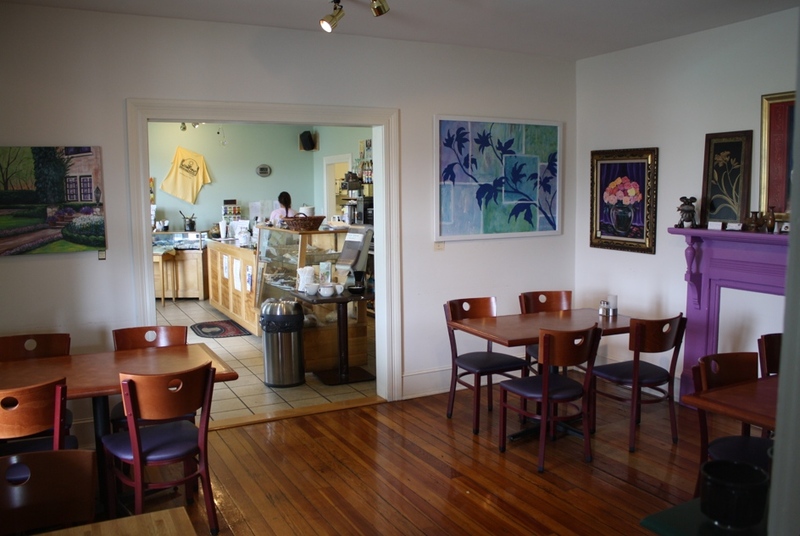 Rooms next to the bakery area serve as both cafe and arts-and-crafts gallery. Photo by Bakery Boy. LOCATION 24443 Lee Highway, Abingdon, VA 24211, just off I-81 at Exit 19 in far western Virginia. 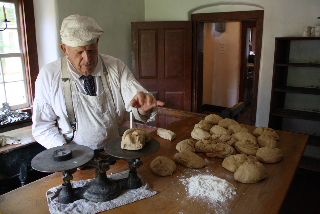 HOURS Mon-Tue 7 a.m.-5 p.m., Wed-Sat 7 a.m.-9 p.m., Sunday brunch 10 a.m.-2 p.m.
Give this former schoolteacher an “A” for his effort to refashion himself as The Muffin Man in this far-western Virginia town. “I was already volunteering as a cook on Wednesday nights at a Presbyterian church based at King’s College over in Bristol, Tennessee,” Dean says. 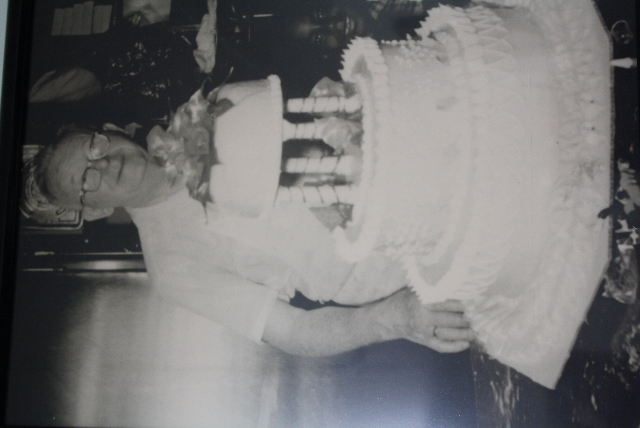 “After retiring from teaching I became the food services director there. 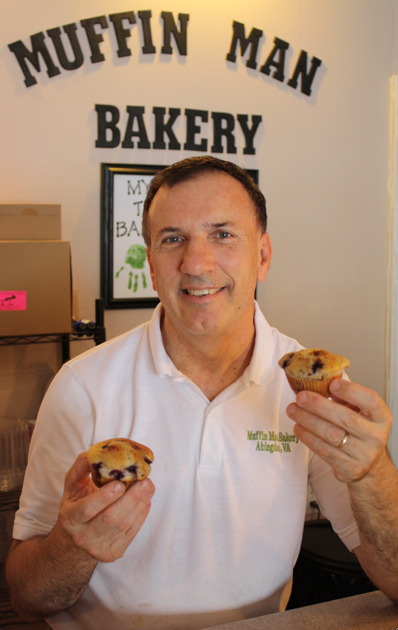 I started making muffins and really liked that part best, so I opened a little storefront on downtown Abingdon’s Main Street. Abingdon is home to the famous Barter Theatre, the Southern-style Martha Washington Inn, the bicycle-friendly Virginia Creeper Trail, and other attractions, all of which can build a visitor’s appetite for good muffins. Customers also find doll clothes and greeting cards for sale, handcrafted by Dean’s wife Janet, who painted the place’s cute muffin man logo too. The muffin variety is rather limited compared to other muffin-intensive bakeries, but Dean does a fine job of assuring they are fresh, moist, and chock-full of whatever ingredients he’s working with on any given day. Blueberry, Mixed Berry, Apricot, and Almond Muffins are favorites he keeps in heavy rotation. He also makes Sausage Ball Muffins, an oddity that started during his church-kitchen period and remains on the menu due to popular demand locally. Dean's daughter Angela, now a teacher, made this tribute to her muffin-making dad. LOCATION 284 West Main Street, Abingdon, VA 24210. From I-81 Exit 17 go north on Cummings Street, turn left on Main, go two blocks and see it on the left. HOURS Mon-Sat 8 a.m.-5 p.m.; the website has the hours wrong, but an update is expected whenever Dean’s tech-savvy daughter gets around to it. More than 1,300 miles north of his Miami roots, Steve Tarpin brings a tropical-fruit delicacy to a Big Apple audience. I’ve traveled through the Florida Keys many times and eaten more slices of key lime pie than I can count, but I never expected to find one of the best in, of all places, Brooklyn, New York. 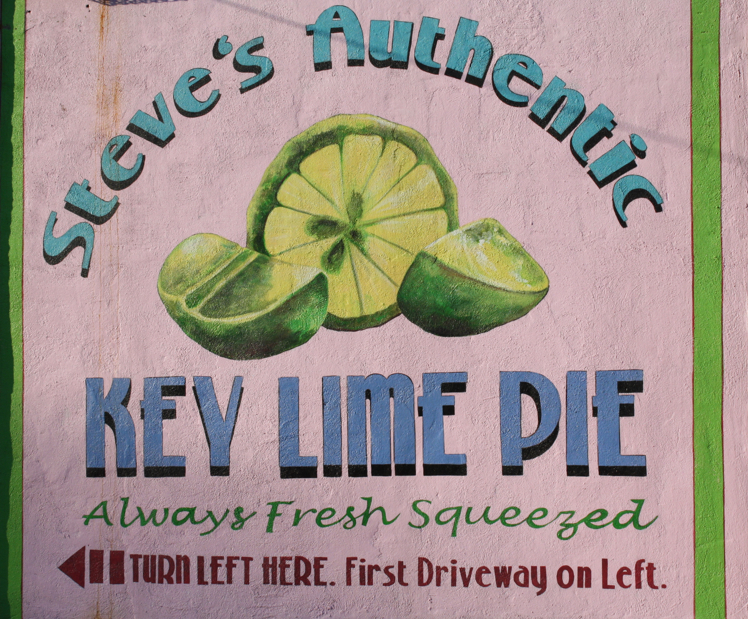 When I stumbled upon Steve’s Authentic Key Lime Pies while visiting the nearby Valentino Pier, a small park in the Red Hook neighborhood with a terrific view of the Statue of Liberty, I took one bite of the creamy, pucker-sweet creation and knew there had to be a Floridian behind the story. A vignette straight out of South Florida brightens this pocket of New York City. He moved to New York in the mid-1980s for what he thought would be six months, but the place grew on him and he stayed, working first as a carpenter. Laid up by a back injury and invited to a cookout, he brought a few homemade pies as his contribution to the festivities. Another party-goer happened to own a steakhouse restaurant, liked what he tasted, and contracted Steve to make three pies a week. 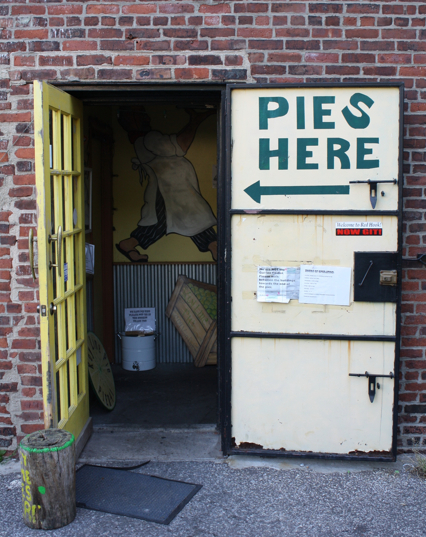 Steve’s Authentic now produces thousands of pies a week and delivers them to dozens of restaurants, markets, and caterers all over the city, as well as to walk-ins who find his warehouse location. SIGNATURE ITEMS Key lime pies in three sizes: 10-inch ($25), 8-inch ($15), and 4-inch tarts ($5). There’s also an innovation called a Swingle—a 4-inch key lime tart dipped in dark, semi-sweet, Belgian chocolate and frozen to a stick. SECRET TO SUCCESS No secret, really, just use the best and freshest ingredients possible. The crusts are pure Graham cracker crumbs and sweet butter. The filling contains fresh sweetened and condensed milk obtained directly from a Wisconsin dairy; pasteurized egg yolks; and the juice of fresh-squeezed key limes (never concentrates) imported from Mexico. LOVE THOSE LIMES Steve maintains a separate web site, keylime.com, devoted to all things key lime. There you can learn about the ping-pong-ball size greenish-yellow fruit and its many uses from culinary to cosmetic. 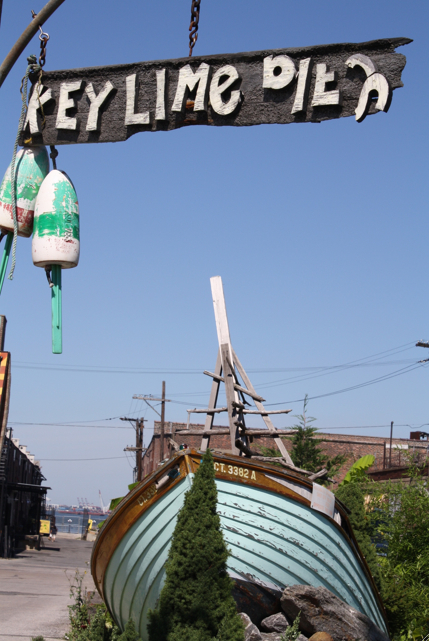 LOCATION 204 Van Dyke Street, Brooklyn, NY 11231—at Pier 41 in the historic Red Hook district with its fine view of the Statue of Liberty and the New York Harbor. HOURS Unpredictable. This is mainly a wholesale operation, after all, though everything is available to front-door customers whenever the place is open. As a humorous sign on the door declares, “Hour contingent on highly imperative fishing schedule.” Apparently you can take the boy out of laid-back South Florida, but you can’t take the laid-back South Florida out of the boy.